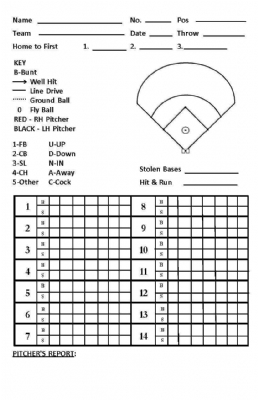 Pocket Hitting Chart - Introduced at the request of coaches looking for a simple tool to instantaneously chart a hitter's performance during the game. Our Pocket Hitting Chart features an abbreviated hitting grid which allows any bench coach to track team hitting performance and make real-time game decisions and adjustments. The Pocket Hitting Chart is a compact 5.5 inches by 8.5 inches and folds easily in half to fit into a coach’s pocket. 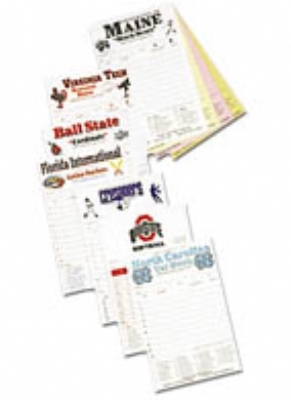 It is produced on heavy stock paper similar to our dugout charts for ease of writing. The Pocket Hitting Chart comes 50 to a pack.